Topic: The Area around the school. Game about Shops Tópico: El área cercana al colegio. 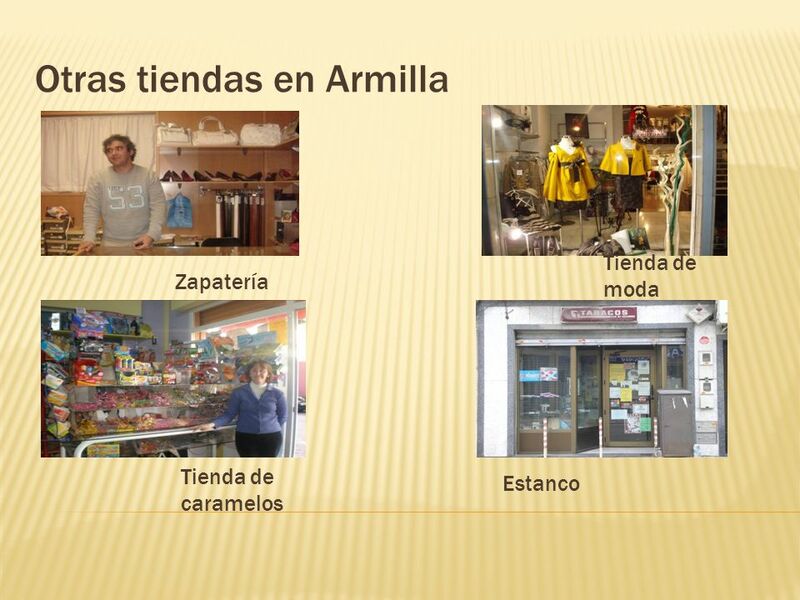 Juego de las tiendas. 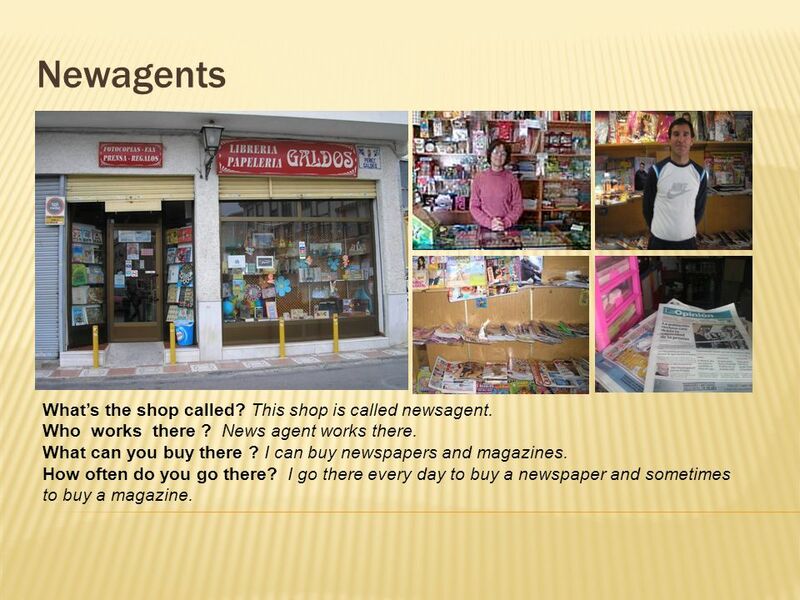 3 Newagents Whats the shop called? This shop is called newsagent. Who works there ? News agent works there. What can you buy there ? I can buy newspapers and magazines. How often do you go there? I go there every day to buy a newspaper and sometimes to buy a magazine. 4 Ultramarinos Whats the shop called? This shop is called grocery. Who works there ? Grocer works there. What can you buy there ? I can buy food there. How often do you go there? I go there every day. 5 Whats the shop called? 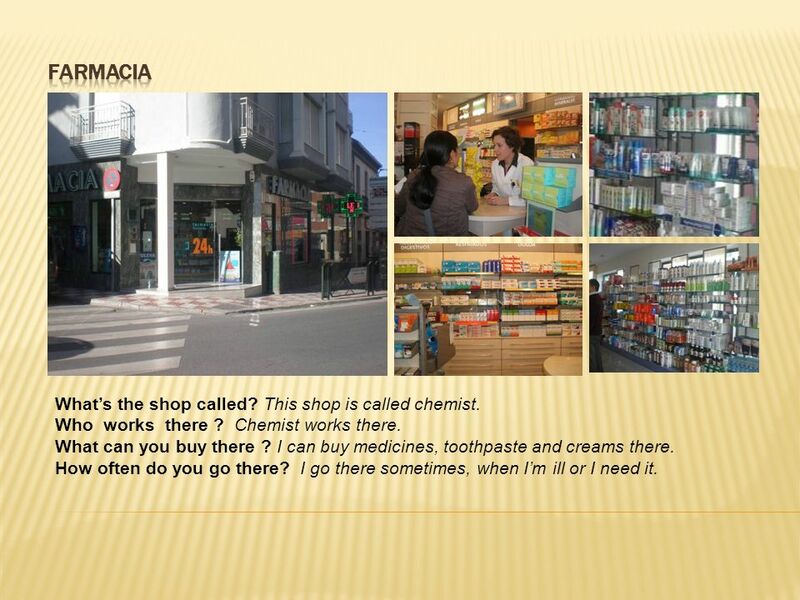 This shop is called chemist. Who works there ? Chemist works there. What can you buy there ? I can buy medicines, toothpaste and creams there. How often do you go there? I go there sometimes, when Im ill or I need it. 6 Whats the shop called? This shop is called post office. Who works there ? Postman works there. What can you buy there ? 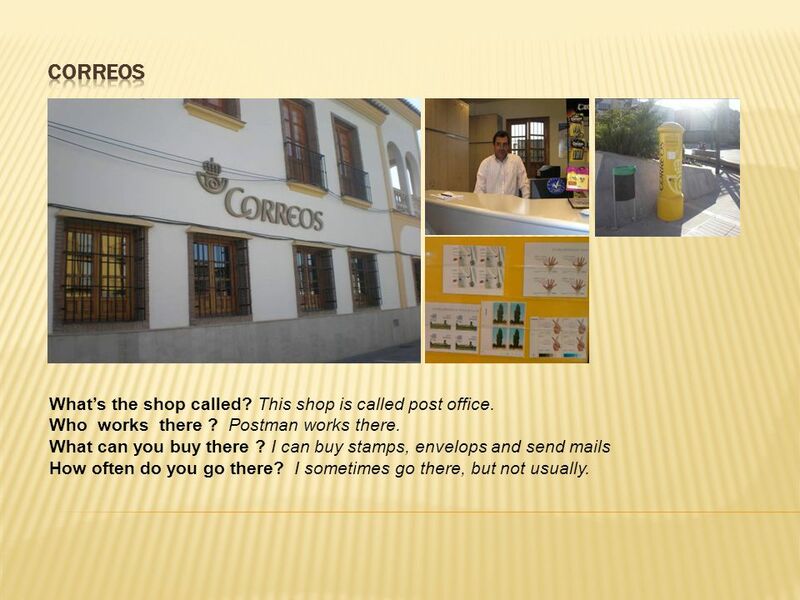 I can buy stamps, envelops and send mails How often do you go there? I sometimes go there, but not usually. Download ppt "Topic: The Area around the school. 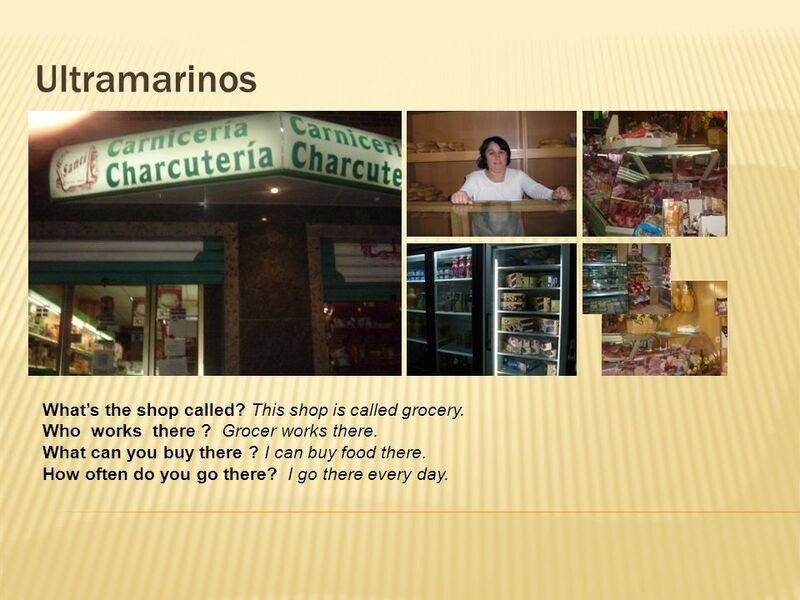 Game about Shops Tópico: El área cercana al colegio. Juego de las tiendas." Survival Kit Everyday Clothes By Mónica Gómez, Jessica Pro Carmen Garrido and Gema Díaz. Capítulo Vocabulario. To ask for information ¿Me puede decir dónde está la oficina de cambio? Can you tell me where the money exchange office. 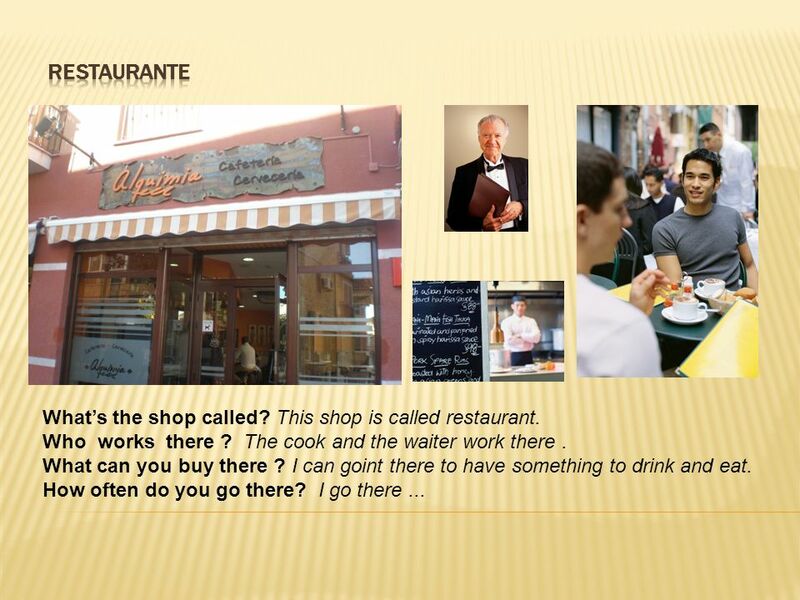 El Enfoque: martes, el 5 de enero, 2010 Day 2: Write these words on the story vocabulary template. 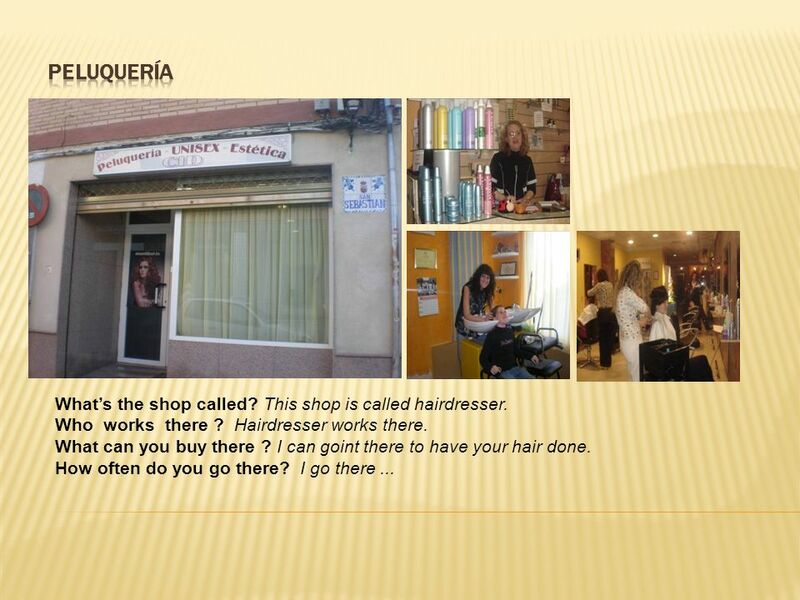 va a…s/he goes to… trabaja en…s/he works in… le dice. Pueblos y ciudadesGramática 1 Impersonal se and passive se Impersonal se Passive se. Interrogatives ¿cuándo? ¿adónde? ¿con quién? ¿dónde? ¿qué? ¿cómo? SHE WANTS A DOG! UNIT 7 11/02/2014DISTANCE LEVEL I UNIT 71. Cómo expresar la distancia (how far and how long it takes) El Transporte: ¿Cómo se va? How does one get to a place? Más objetos directos NBI. Translation – writing sentences The key to both translating and writing sentences is to go step by step and remember proper. ¡Vamos a el Zoo! Señora Walters Leccion Numero 3 El zoo y IR. Se + (present tense verb) + noun The verb must agree with the noun. 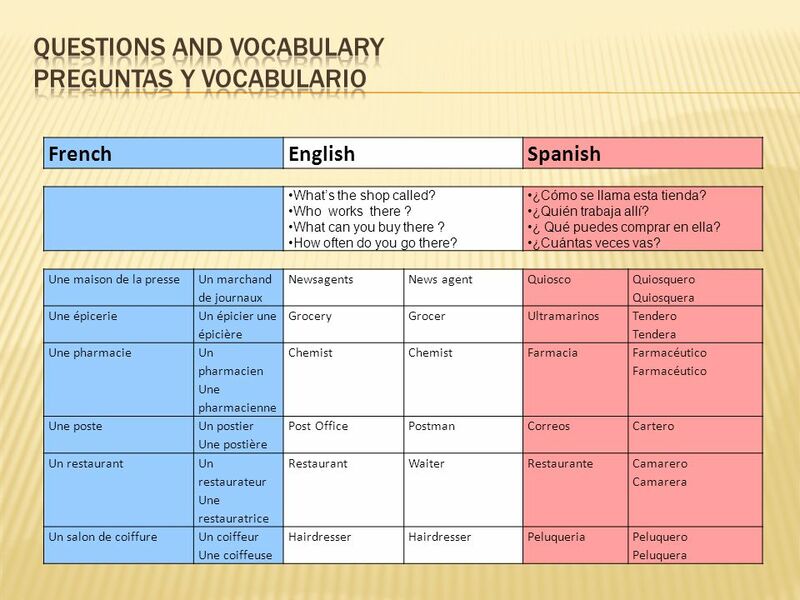 Only conjugate the verb in él/ella or ellos ellas forms. Se habla español aquí. Spanish. Capítulo 3A Tú y Tu Comunidad. talk about places in a community.